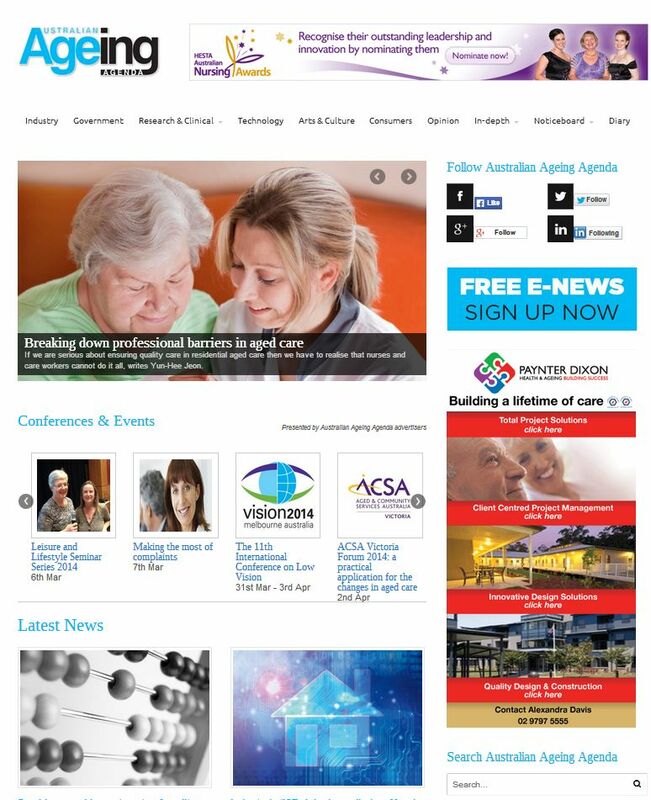 Updated daily Australian Ageing Agenda (AAA) is an interactive information hub for the sector, giving users access to breaking news, conference information, activities and events, and useful links. A free bi-weekly e-newsletter is also sent to industry personnel, designed to keep them up-to-date with the latest developments in their industry – subscribe. In the recent McNair Ingenuity Research Reader Survey, readers voted AAA online the second most preferred information source out of nine information sources in the aged care industry (AAA magazine being first). AAA has embraced ‘social networking’, initially with twitter (AustAgeAgenda) late in 2010 and then in 2011 with a facebook page (Australian Ageing Agenda). AAA also publishes a bi-monthly magazine for people who work in or around the aged care and retirement sectors in Australia. It provides a broad range of news, education and opinion with an emphasis on knowledge sharing and research translation.